Jay Stream Middle School students gave their teachers an A-plus on their fundraising efforts to support local education and their community. 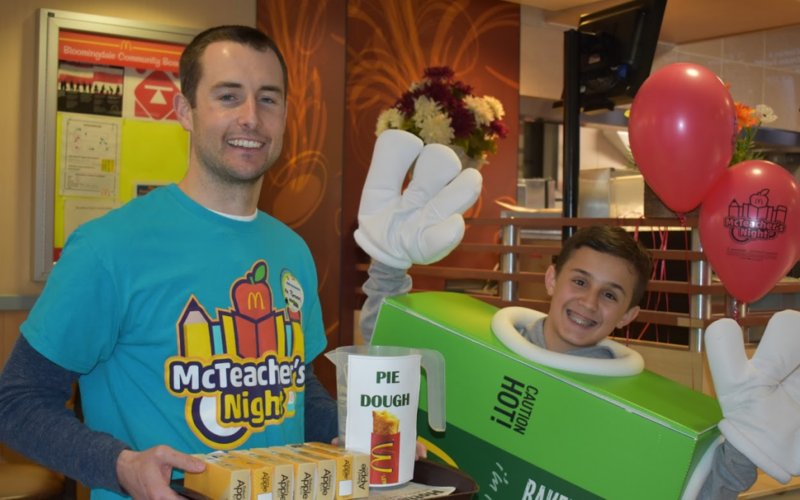 Ten fun-loving teachers from Jay Stream Middle School in Carol Stream volunteered on Wednesday, April 10th, at the Bloomingdale McDonald’s located on Stratford Dr, where they served students and their families in a fundraiser for their school. 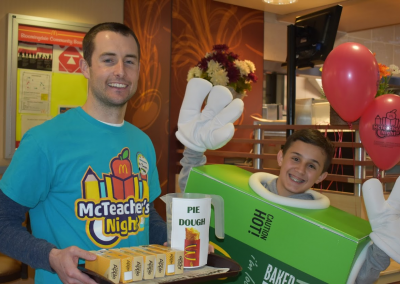 The proceeds from the sale of the pies, donated by McDonald’s, went directly to benefit the students. 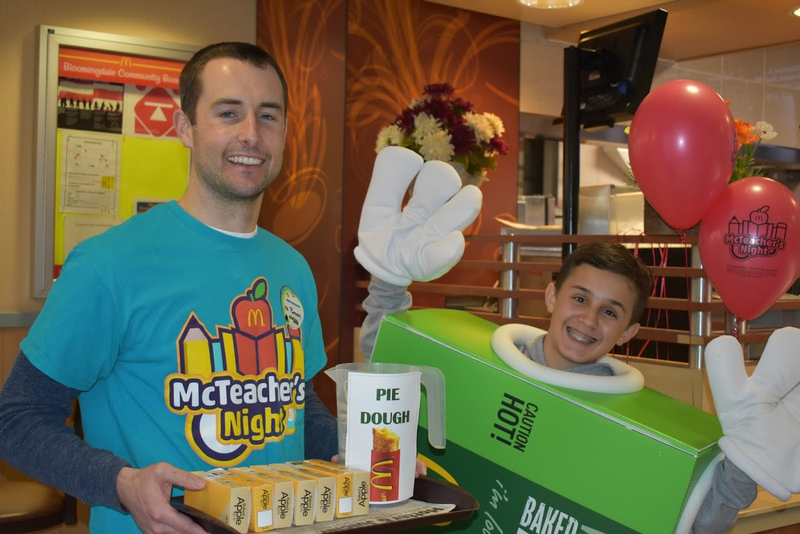 Twenty percent of the proceeds from the McTeacher’s Night sales were donated directly to Jay Stream Middle School, which plans to use that money to fund a boat trip on Lake Michigan for the eighth-grader class – what a fun way to celebrate their graduation! 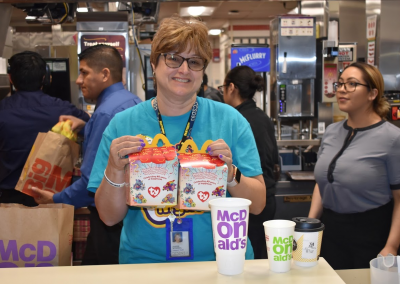 David Bear, Owner-Operator of the Bloomingdale McDonald’s, and the Bear family were delighted to participate in this worthy cause for education and the community. 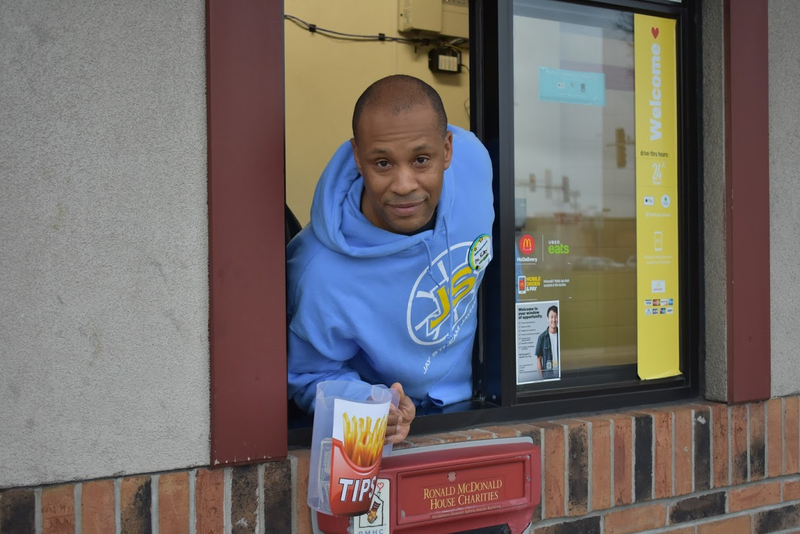 The McTeacher’s Night was courtesy of the Bear Family Restaurants and McDonald’s Owner-Operator, David Bear. Like us on Facebook and visit our Bear Website. 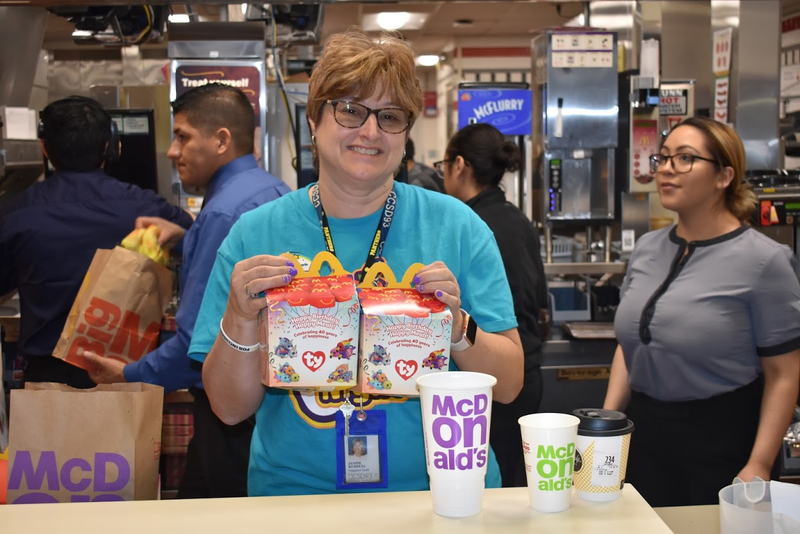 For more information about events provided by theBloomingdale McDonald’s, please contact Community Relations Director, Julie Travers at julie.travers@comcast.net.